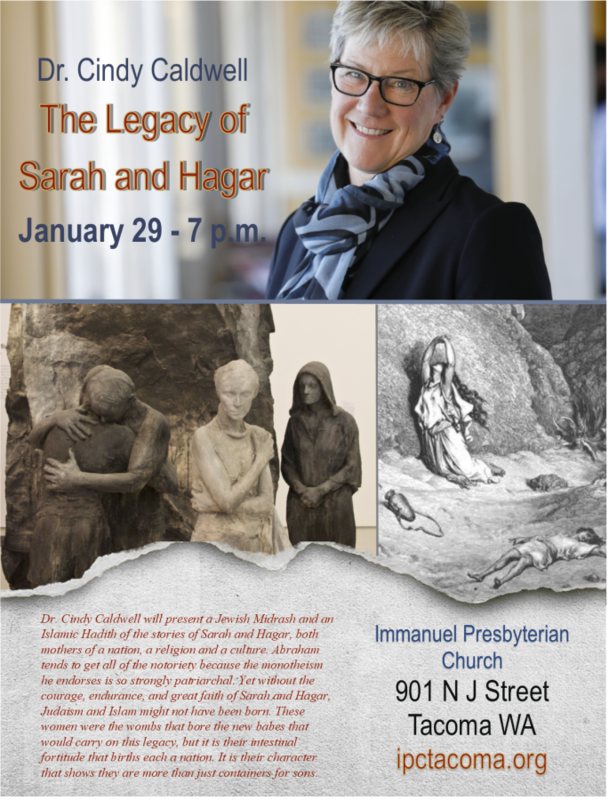 January 29 – Fireside Room – 7 p.m. Dr. Cindy Caldwell will present a Jewish Midrath and an Islamic Hadith of the stories of Sarah and Hagar, both mothers of a nation, a religion and a culture. Abraham tends to get all of the notoriety because the monotheism he endorses is so strongly patriarchal. Yet without the courage, endurance, and great faith of Sarah and Hagar, Judaism and Islam might not have been born. These women were the wombs that bore the new babes that would carry on this legacy, but it is their intestinal fortitude that births each a nation. It is their character that shows they are more than just containers for sons.